DB Sports are excited to announce the signing of a new player, Sam Verdon. Our extensive roster of talented players we represent continues to grow, with Verdon the latest to join the ranks. Verdon (20), hails from Dublin, and currently plies his trade for the SSE Airtricity Premier Division club St. Patrick’s Athletic. St. Pat’s finished the 2015 season in an impressive 4th place, in which Verdon began to come to the fore. 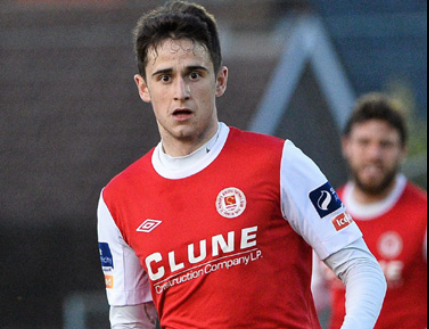 Verdon made his senior debut in the 2014 season for Liam Buckley’s side, coming on in the 3-1 victory over city rivals Bohemians. However, Verdon remained a pivotal cog in the under-19’s squad, scoring 11 goals in the Under-19 Elite Division that year. Verdon’s adaptability and maturity in his play are his most evident traits; although playing as a striker until recently, his transition to a deeper central-midfield role has been seamless. In the 2015 campaign Sam made a total of nine league appearances throughout the campaign, as the Dublin side made their goal of European football qualification ahead of Bohemians on the final day of the season. The future looks bright for Verdon. With a new season only weeks away, everyone here at DB Sports Tours hopes the best for him and St. Pat’s for the season ahead. For more information on the development of our players, keep an eye on our blog here.